​The Taika girl has left for her new companion home. She is an active kid with mischief in her heart. She is adored and loved by the Gale family in Brisbane. 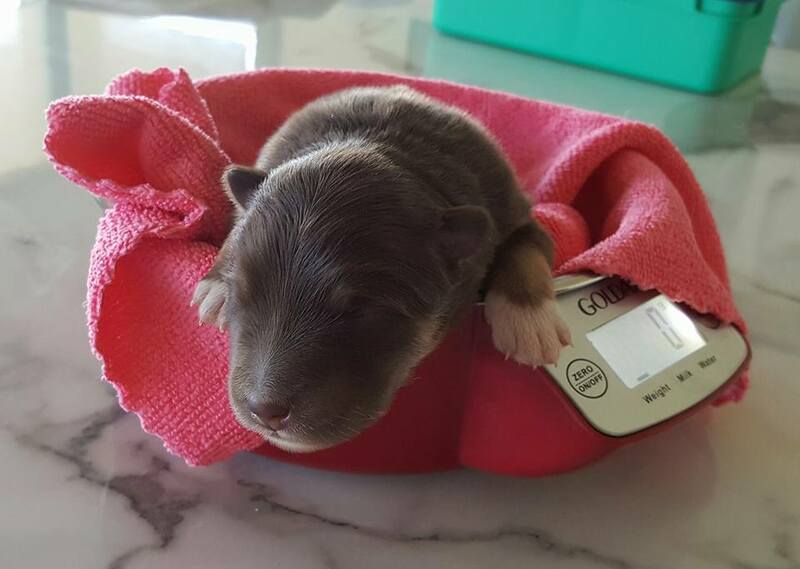 The Sade x Magic pups have arrived on the 17th September 2016. Safely delivered were a brown domino male and brown, tan & white female. Scandal has also had her pups. They can be viewed on the Puppies page. Another Ekka come and gone. Nothing impressive to note but the Lappies did do well. Very impressed with taking Best of Breed, Runner Up Best of Breed and both challenges. ​Puppies all gone to their forever homes. Riki showed at Kyogle Kennel Club shows in NSW and came home with another 3 Runner up to Best in Group wins against some lovely competition. Sassy had her first shows against Karpu. She won once and he converted his wins to Baby in Group. Congratulations Karpu. Puppies are leaving our home to live with their new adopted parents. Riki showed at Maryborough Kennel Club winning his 40th Runner Up To Best In Group. Not a bad tally to go with his 28 Best in Group wins. The Sydney royal is done and dusted for another year. Cannot brag too much with the dogs we took, however Styler who is co-owned with Kat Holtkamp came away with the dog challenge. Happy about that. Scandal won her class of 4 as well. Then nothing more. 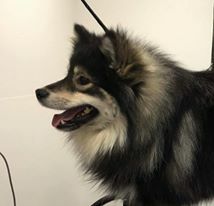 We were the only Finnish Lapphund team so won the breed team event and then went on to win the Breeders team of the day again. So back we go for General Specials Day. 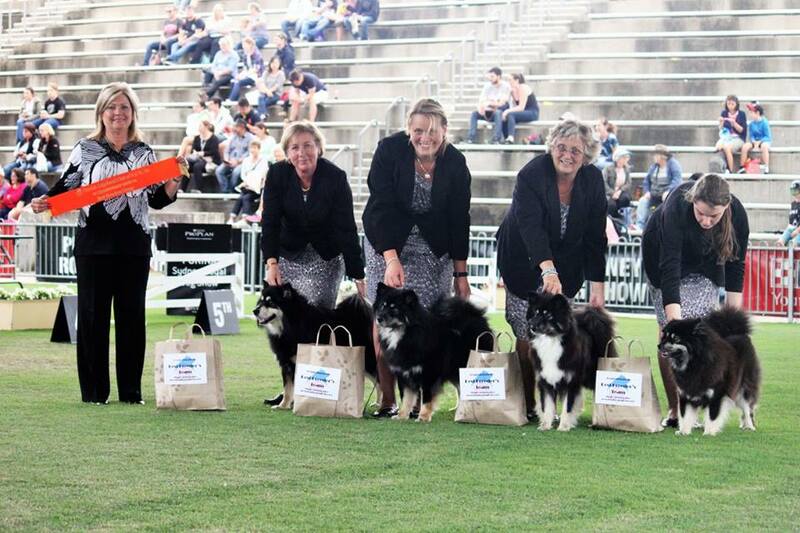 We faired a little better in the specialty show of NSW. Riki won the Reserve dog challenge and then onto Runner Up to Best in Show. Impressive finish. We also won the Breeders team for the specialty as well. March We are thrilled that the H litter has made a safe appearance into the world. All pups growing well and Coco is being a super mum. Updated photos can be viewed on the Puppy page. 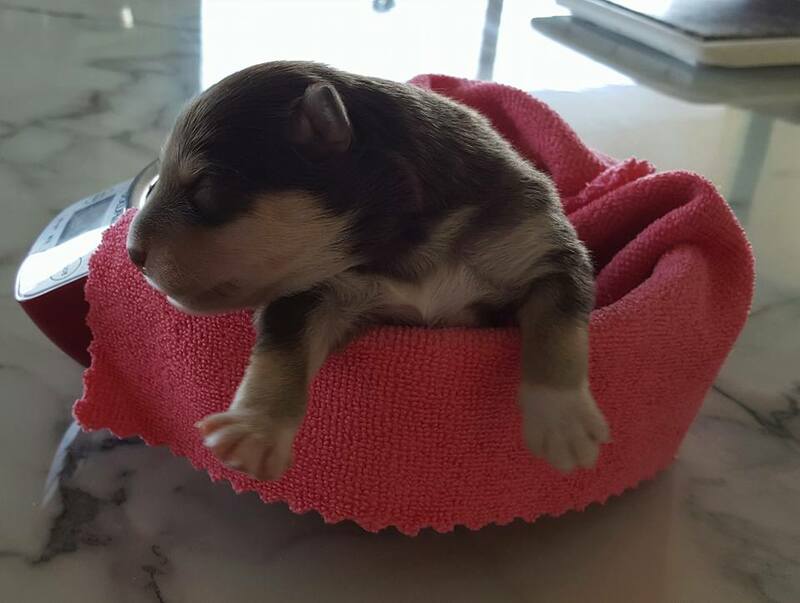 Whilst away at the Sydney Royal we had the safe arrival to Trouble's first litter. She delivered 5 pups of red and blacks. Photos can be seen on the Puppy page. Zutki's registration is complete and he has made his mark already winning Dog Challenge and Best of Breed over Riki at his first show. 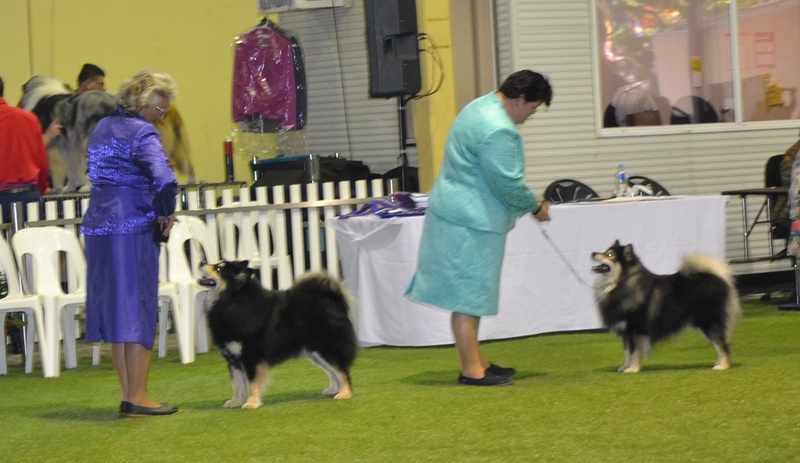 Gaining both awards again at his second show this time without Riki who was not entered. What a start to the month! We were thrilled about the Best In Group win that Riki had at Gympie Kennel Club . He is slowly achieving our goal of 30 Best in Group wins. Not much occurring this month with only 3 show weekends. None the less Torvi has excelled at the Allora show with a Puppy in Group as well as a pair of challenges over some older girls. Pretty pleased with her progress at present. Zutki has been coming to shows with us and is coping well in the heat, as well as people going over him and his show training. Not much to mention at present as we have not had many shows. 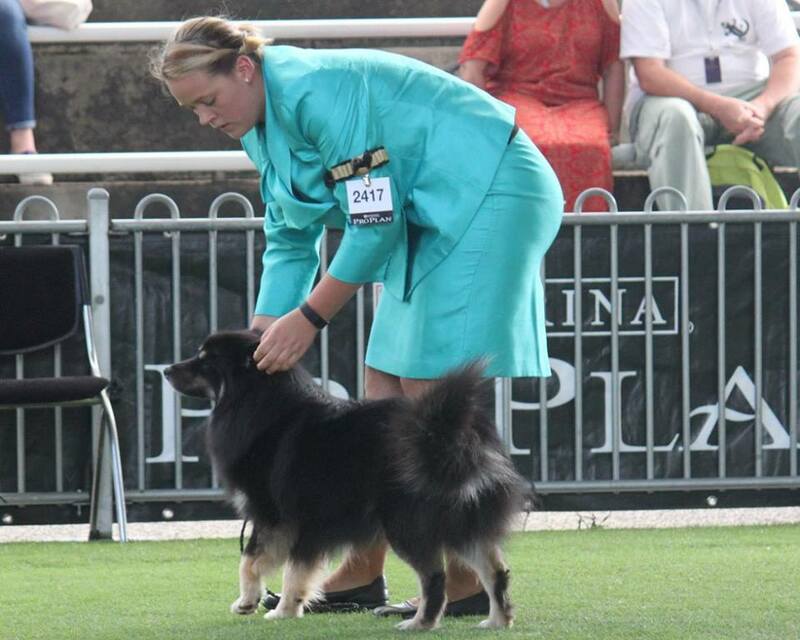 WE did go to the Burnett Kennel club shows in the middle of the month where Trouble aka Ch Darshiva Trouble in Paradise gained a Runner Up to Best in Group, and Riki won Aust Bred of Group. We are not overly stressed about wins at present as we are just getting the youngsters out and comfortable in the ring. Some good news is that Zutki aka Lapinlumon Zutki has arrived in Australia. Poor boy came from snow in Sweden to 41 degree heat in Melbourne. Lucky that the new quarantine station is air conditioned.